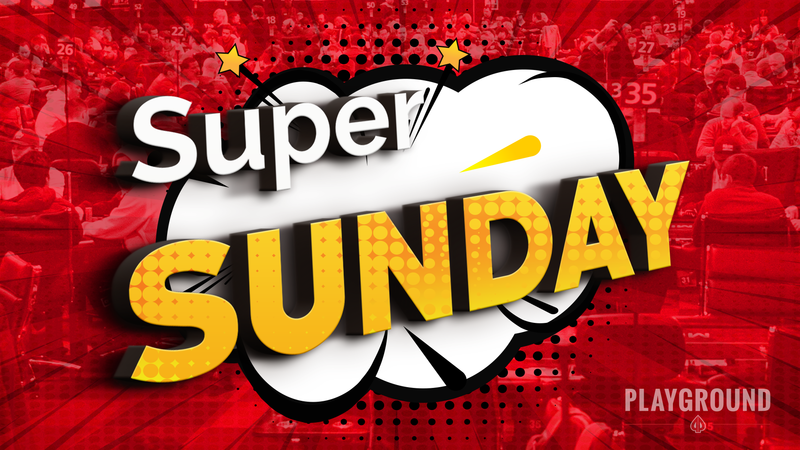 Super Sunday: a monster promotion! 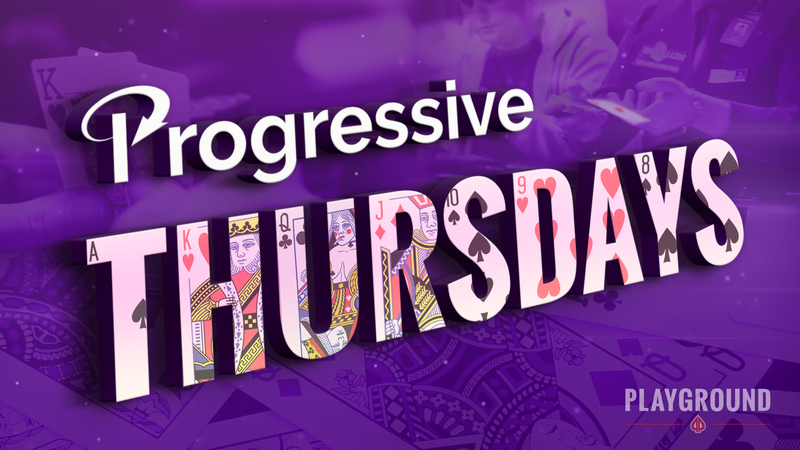 A very progressive Thursday promotion! The untouchable High Hand Wednesdays! 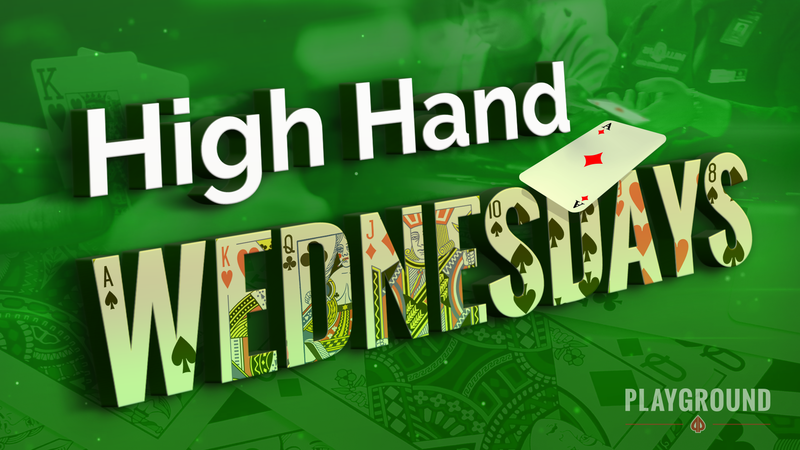 After Hot Seat Mondays and Cash Splash Tuesdays, Wednesday’s cash promotion will have a very familiar feel… Given the legacy of Wicked Wednesdays, we wanted to remain loyal to the high hand promotion that our players have embraced over the years, so High Hand Wednesdays will give players more of what they want: high hand payouts every 30 minutes! Throughout the promotion period, at 30-minute intervals, the highest tabled hand from our No Limit Hold’em tables will be awarded $200, and the prizes will be bumped up to $500 during the last hour of the afternoon and evening sessions, putting $500 up for grabs, twice between 2pm and 3pm, and again between 2am and 3am! High Hand Wednesdays has all the hallmarks of the Playground classic. Stay tuned to learn what will replace Full Throttle Thursdays! To follow up Hot Seat Mondays, our next cash game promotion will be spreading the action around the room. On Tuesdays, instead of turning things up, we’re going to make it rain down… cash! 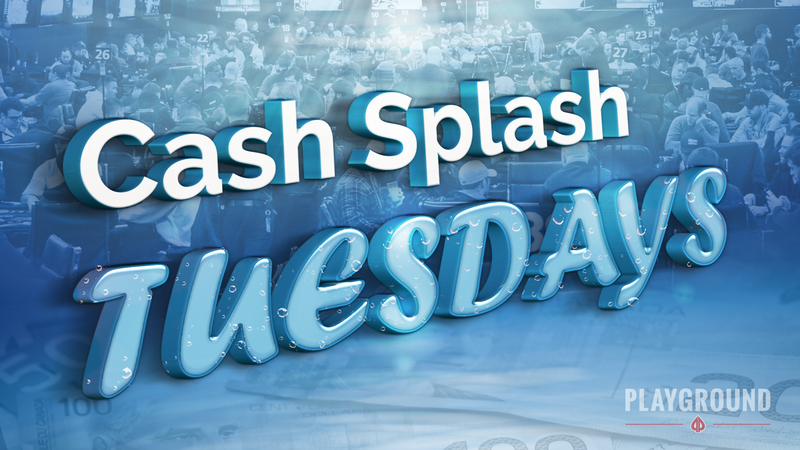 Cash Splash Tuesdays will give lots of players a chance to get their share of the added value because instead of just one winner every 30 minutes, three No Limit Hold’em tables will be randomly selected every 20 minutes to be part of the cash splash! That’s right, we will be splashing $50 on three different tables, three times an hour! Cash Splash Tuesdays will have our No Limit Hold’em players wallowing in chips. Tune in tomorrow to see what Wednesdays have to offer! 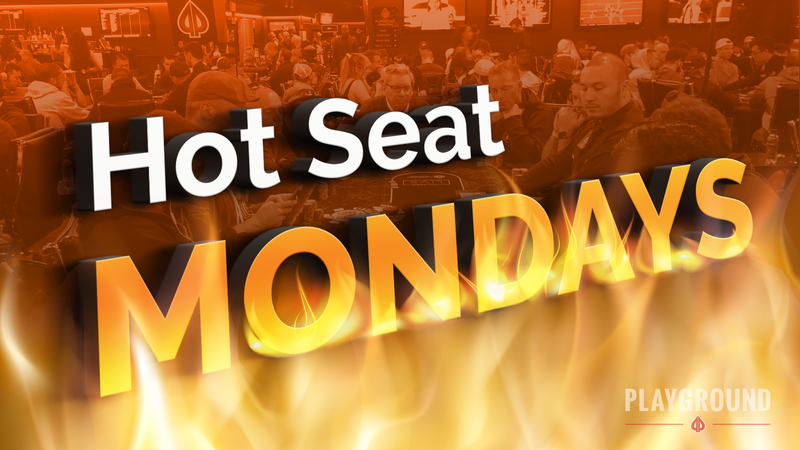 The new promos have arrived… meet Hot Seat Mondays!